ACUVUE 1-Day Define contact lenses are now manufactured using proprietary LACREON Technology, which locks the wetting agent into the matrix of the lens. This creates a moisture cushion to provide long lasting comfort. 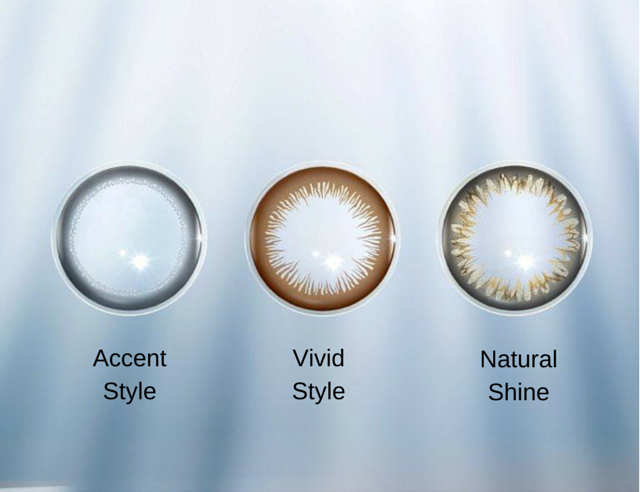 ACUVUE have also released a third style in the Define range called Natural Shine, for naturally sparkling and luminous eyes. The lens replicates the patterns found in the natural iris, providing depth to the eyes. A clean edge meets the sclera, enhances definition and makes the eyes more distinctive. Varying translucency provides better blending, making the eyes shine. Lenses have Beauty Wrapped In Comfort Technology, which embeds the colour between two thin transparent layers of lens material. This unique technology maintains eye health by preventing the colourants from coming into contact with the eye. Choose from three styles, Vivid, Accent and Natural Shine. Choose Vivid for vivacious and expressive eyes, Accent for naturally distinctive eyes and Natural Shine for naturally sparkling and luminous eyes. At eContactLenses.com.au we pride ourselves on outstanding customer service, fuss free shopping and fast shipping so you'll have your contact lenses in no time at all.